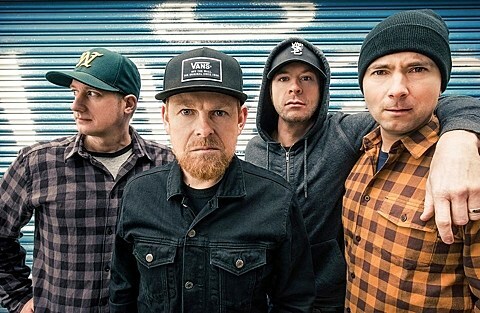 ’90s-era Swedish punks Millencolin returned this year with True Brew on Epitaph, their first album in seven years and one that has them sounding in fine form. They were recently announced for the Denver and Chicago Riot Fests, and now a full North American tour surrounding those appearances has been revealed. The tour hits NYC on September 8 at Music Hall of Williamsburg. Tickets for MHOW go on sale Friday (6/12) at noon with an AmEx presale starting Wednesday (6/10) at noon. All dates are listed below. Speaking of ’90s punk and Riot Fest, Teenage Bottlerocket, who weren’t a ’90s band but co-singer Kody Templeman’s former band, the recently reunited Lillingtons were, are also touring around the Denver and Chicago Riot Fests. Their tour hits NYC on September 19 at Santos Party House. Tickets are on sale now. Their new album, Tales From Wyoming, came out earlier this year on Rise and can be streamed, with tour dates, below. They also play The Fest. Millencolin’s fellow Epitaph Riot Festers Rancid also announced Boston and NYC shows with H2O this week (tix on presale Thursday). Epitaph honchos Bad Religion begin a four-night NYC run with Plague Vendor tonight (6/9). All NYC shows are sold out, but tickets for the NJ show happening this weekend (6/14) are still available. NOFX have a big NJ show this summer on their tour celebrating the 25th anniversary of their label, Fat Wreck Chords, which Strung Out were just added to all dates of. NOFX also play Fun Fun Fun Fest. And in case you missed it, Millencolin’s fellow Swedish labelmates Refused were just in town for three NYC shows. Check out pics, review and more pics. They return in August with Faith No More. Lastly, The Lillingtons’ old pals Screeching Weasel will be here this summer on tour with The Queers and The Mr. T Experience, hitting Webster on 7/25 (tickets).